LOOKING FORWARD TO NEXT YEAR! CHECK BACK! A Vacation is great, a Yoga Retreat is even better. And a Yoga Flow retreat is the best of all! 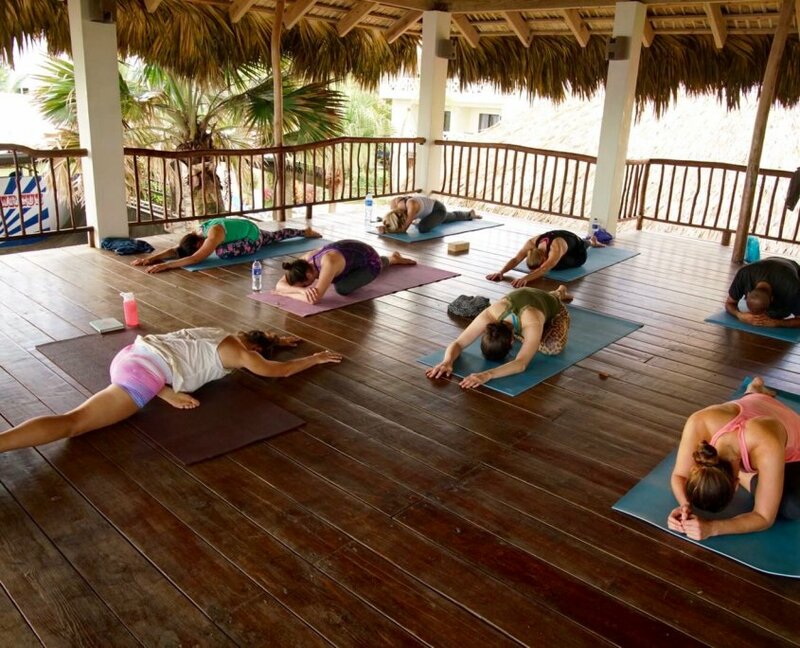 Take a trip with our teachers to The Yoga Loft Cabarete, one of the leading ecologically sustainable hotels in the Caribbean located at Kitebeach, Cabarete. It is an adventure sports and fitness hotel with the following facilities: Kiteboarding school, Fitness center, Yoga Loft, Circus Arts Center, beach side restaurant and a swimming pool. Join us April 15 - 21st, 2018 for twice-daily yoga classes led by our Yoga Flow teachers. Cabarete is the perfect place to escape to for a yoga retreat, giving you the opportunity to unwind and be at peace without removing yourself completely from everything. Located only 35 minutes from Puerto Plata airport with daily international flights, it is easily accessible, but once you arrive and find this unique adventure sports town built between a breathtaking, semi-circular beach and the El Choco National park, it is like stepping into a different world. During time in between classes, you can visit the center of Cabarete... just a 5 minute ride from the hotel. Cabarete is full of international restaurants, bars, live music spots and much more. The local fruit stand offers fresh produce at unbeatable prices so even keeping your snacks healthy becomes easier and you can grab a moto for just $1 to take you to a close by vegan restaurant or stroll along the beach into town for freshly caught seafood. There are also tons of activities to particpate in... check out the list below. Not included: Your airfare , taxi to/from airport, and extra excursions and/or extracurricular activities. Activities: What makes The Yoga Loft unique is the variety of other activities that Extreme Hotel and the north coast have to offer. Below are prices for some of the favorite activities available to you.